Bored Yak: Build Your Own Snowboard Workshop Coming to Portland! Build Your Own Snowboard Workshop Coming to Portland! Wanna get nasty on a board of your building? Ever want to build your own snowboard? Judging by the fact that both Lib Tech and Yes are offering blanks in their next season's lineups, many of you have. If you can get to Portland, Oregon on March 21, this might be your best chance. The guys from PowderJets are bringing their show on the road for a one-day, shred-sled workshop, their first on the west coast (though with the way the weather is going, they'll wish they stayed home). ADX Portland will house the workshop and provide all the tools you need to turn a blank lump of lumber into a board worthy of snow. Those of you on the east coast, don't forget there's always an option to get together a group of buddies and hire out the P-Jets for a private board build-a-thon. All you need is a gang of four. Links and other details below the smiling faces. You can be this happy, too! 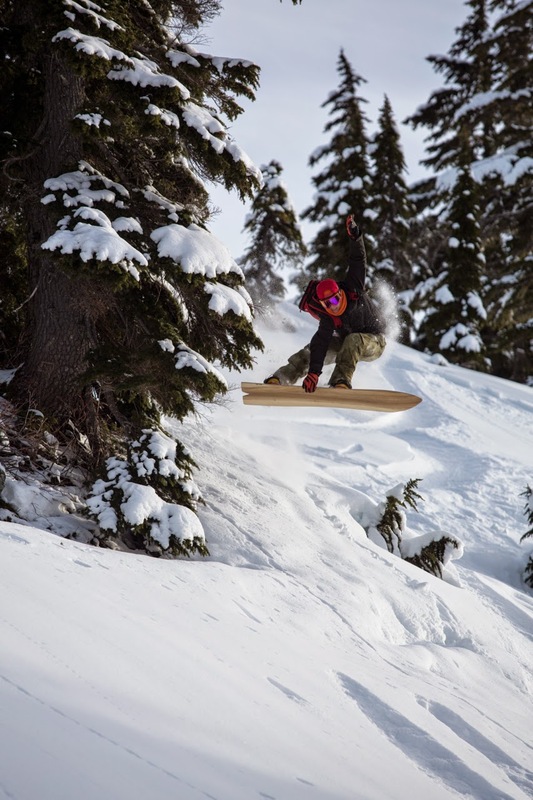 New England based PowderJet Snowboards announced that it’s bringing their popular Build Your Own Wooden Snowboard Workshops to Portland Oregon. This rare west coast class will be held at ADX/Portland on Saturday, March 21, 2015. During the one day class, participants will be hand shaping and sanding their PowderJet blank, as well as adding custom graphics and artwork for a truly one of a kind board. Registration is currently open on the PowderJet website and there are limited spaces still available. 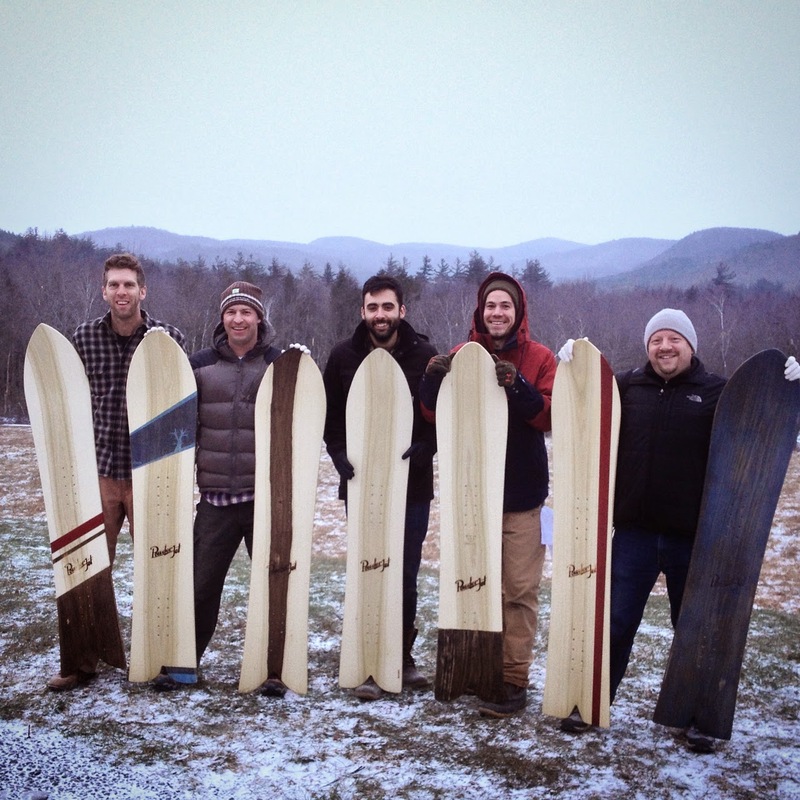 Founded in Vermont in 2009, PowderJet Snowboards builds wooden powder boards on a custom basis. The boards are hand built from start to finish and designed for backcountry and powder riding. In 2014 PowderJet became the first snowboard company to offer board building classes, teaching workshops at the shop they share with Grain Surfboards on the Maine coast. About as far from the mainstream industry as you can get, PowderJet is the future primitive snowboard company.